LIST: 2017 Top 100 Universities and Colleges in the Philippines by Webometrics - Balita Boss! Are you looking for Top Universities or Colleges in the Philippines for 2017 or trying to find the rank of your schools in comparison with the other institution? From this page you can find the list of Top Universities and Colleges in the Philippines for 2017 provided by webometrics.info. The "Webometrics Ranking of World Universities" is an initiative of the Cybermetrics Lab, a research group belonging to the Consejo Superior de Investigaciones Científicas (CSIC), the largest public research body in Spain. 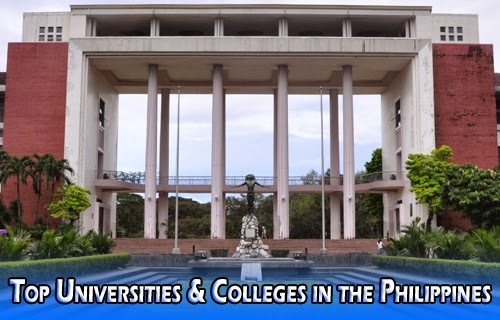 Webometrics list reveals that University of the Philippines Diliman is the top rank among the Philippine schools. It is followed by De La Salle University Manila and University of the Philippines Los Baños. Here's the 2017 Top 100 Universities and Colleges in the Philippines according to the Webometrics (January 2017 Edition). To view the complete list of ranking, please click this link http://www.webometrics.info/en/Asia/Philippines. Please note that the list doesn't reflect the excellence and quality of a certain school. The main indicator of the ranking is based on presence and visibility of schools in the world wide web.